AS V CONTINUE TO CELEBRATE THE LAUNCH OF OUR 2015 MUSIC ISSUE, ONE OF THE INDUSTRY’S MOST LEGENDARY BANDS TAKES THE STAGE IN NEW YORK CITY. BELOW, V BRING YOU A FIRST HAND ACCOUNT OF FLEETWOOD MAC'S TOUCHING SHOW, WHICH WAS JAM-PACKED WITH EMOTION, A WHOLE LOT OF SHAWL-TWIRLING, AND OVER FORTY YEARS OF ROCK-AND-ROLL MEMORIES. “We’re a band that has had our fair share of ups and downs… But I think what makes us who we are is that we have persevered,” said rock legend Lindsey Buckingham to a packed arena at New York City’s Madison Square Garden on Thursday. 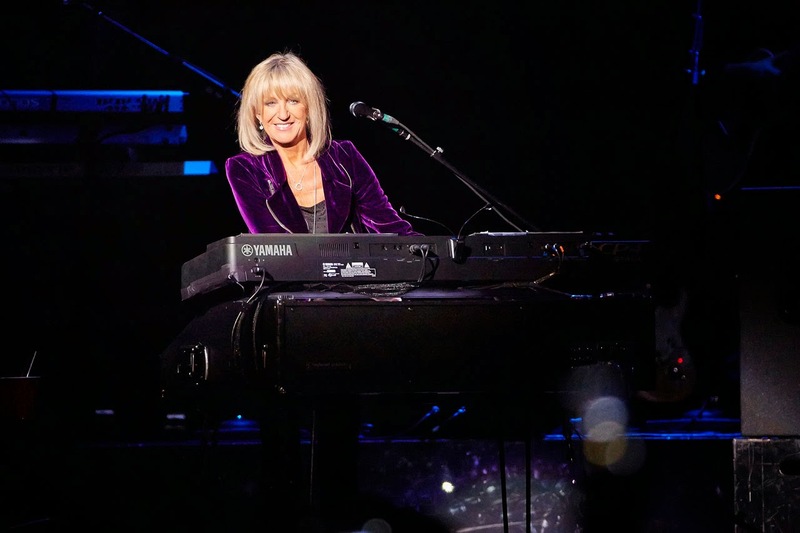 With the return of Christine McVie, Fleetwood Mack's On With The Show tour marks the first time the entire band has played together in 16 years, making it an emotional affair. Each of the group's four other members—Buckingham, John McVie, Mick Fleetwood, and of course, Stevie Nicks—pay tribute to their “Songbird” at various points throughout the show in their own touching ways. Watching five incredibly talented individuals who have suffered loss and heartbreak, who have broken up and gotten back together more times than anyone can count, won countless awards and sold millions of records, stand on stage together again after so many years feels powerful in and of itself. Nicks even thanks the audience for her return, saying—in very Stevie Nicks fashion—that she knows it was the fans that willed her back to the stage. It is this degree of history—a muddled mixture of fact, rumor, and myth—that gives each song an added layer of emotional significance. Despite their tumultuous history, when Nicks comes out to sing “Landslide,” she bows to Buckingham as he performs his brilliantly executed guitar solo. Even with such a small gesture, the audience can’t help but be moved. The band cycles through their incredible compendium of hits—“The Chain,” “Dreams,” “Don’t Stop,”—that have earned it icon status. Even the more straightforward and upbeat hits feel somehow more sentimental. The expression on Buckingham's face and the emotion in his voice as he sings “Never Going Back Again,” stirs an unexpectedly awestruck reaction in the audience. Perhaps one of the most touching moments is when Nicks introduces “Gypsy,” and explains that the song conjures one of her most poignant memories of the band’s early days: she was in San Francisco vintage store The Velvet Underground, looking at the same four people with whom she shares the stage, and she knew that they were then—and always would be—Fleetwood Mac.